Residents of Saugus, Massachusetts, are dealing with the aftermath of a microburst that took trees down. 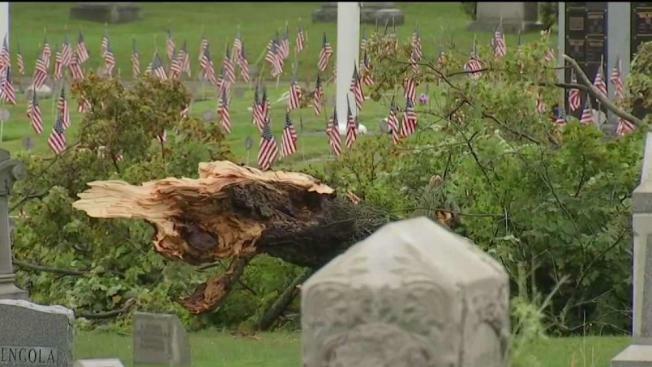 The National Weather Service says a microburst, not a tornado, caused damage in a town near Boston as the remnants of Hurricane Florence brought strong winds and heavy rains to New England on Tuesday. NBC10 Boston's Chris Gloninger said the straight-lined damage path confirmed by the National Weather Service was a half mile wide in the town of Saugus, Massachusetts. Gloninger said it was still to be determined exactly how strong the winds were from the microburst. 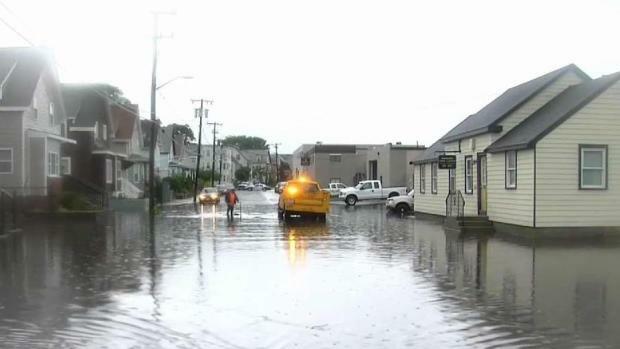 Storms that moved through the area on Tuesday as a result of the remnants of Florence, flooded several roads in Massachusetts. A tornado warning had been in effect for parts of Essex County earlier in the day. Massive flooding was reported in many communities on the North Shore of Massachusetts on Tuesday due to the remnants of Hurricane Florence. Some homes in Lynn that flooded did so for the second time in just a matter of weeks. In Quincy, Massachusetts, a woman trapped in her car Tuesday on Standish Avenue was rescued by a member of the U.S. Army. The soldier was able to carry her to safety after she crawled out of her window. Vehicles were also reported stranded in several communities due to flooded roads in North Reading, Somerville, and Medford. Massachusetts State Police had to shut down Route 1 north at Route 114 in Danvers due to three vehicles being stranded. Parts of Montvale Avenue in Stoneham were under two feet of water, flooding the nearby parking lots as well. The flooding also caused problems for businesses like the Lahey Clinic in Peabody, Massachusetts, where water flooded the lobby. Several inches of standing water were reported on Oakville Street in Lynn where resident Brigitte Anderson was waiting to get her son from school. "I can't get my son out of daycare," Anderson said. "We're trying to figure out a way to get him over here so I don’t have to walk in the water because it's 6 to 8 inches." Nedzad Colic, of Lynn, said water was seeping into his basement. He's still recovering after torrential rain caused problems last month. "I have almost four foot now I have more," Colic said. He said he was in his basement fixing the foundation when Tuesday's downpours starting again. "That’s water from today — fresh water from the street. Dirty water," Colic said. 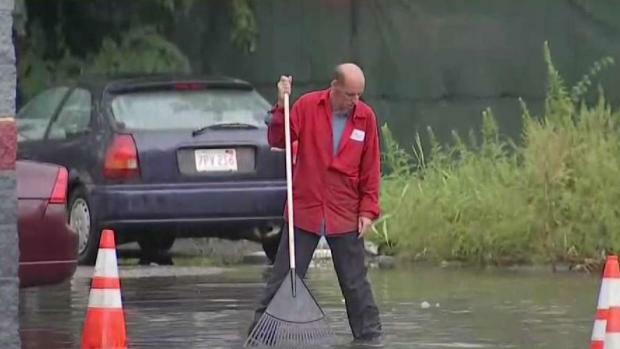 Flooding was reported at Lahey Clinic in Peabody, Massachusetts. In Derry, New Hampshire, Fire Chief Mike Gagnon said seven people were rescued by boat after water rose 5 to 6 feet outside several small businesses in an industrial area. He said eight others were assisted to higher ground, and about 15 cars were flooded.